Welcome to the historic City of Placerville. Whatever brought you here, we’re glad you came. Whether running a business, raising a family, or retiring, citizens of Placerville have the best of both worlds; small-town ambiance and larger-city opportunity. Centrally located, Placerville is a growing community with a stable economic base. If you can’t find it here, it’s not far away. We invite you to become an active part of our Placerville family and share in all the community has to offer. Below are several phone numbers, website links, and other information for local services and organizations you may find helpful in getting established in your new home and community. 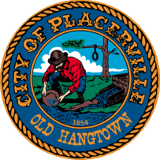 Also, if you plan on building a new home or are starting a business in Placerville, be sure to explore the information available on our website regarding building permits, business licenses, and planning and zoning to ensure a smooth and timely transition. Again, welcome to the City of Placerville. Click here for more local information and contacts.